Central Tech finished third in the Semifinals, finishing in the top 1%, and earned a spot as a national finalist in CyberPatriot – the national high school cyber defense competition. This year’s Central Tech CyberPatriot team includes high school seniors: Paige J. Booth, Cushing; Brodi Snover, Stroud; Jesse McIntyre, Ripley; Matt Cundiff, Ripley; Michael Inge, Depew; and Jacob Buzzard, Cleveland. “The CyberPatriot contest is a great opportunity for our students to demonstrate the cyber security knowledge they have learned, and to compare themselves with their peers from around the world,” said Nick Gaunt, Central Tech network security & administration instructor. More than 1,200 teams representing all fifty states, the District of Columbia, Puerto Rico, Canada, Japan, South Korea, Germany, and Italy competed in a series of online rounds hoping to secure a top twelve finalists spot and a chance for an all-expenses-paid trip to the CyberPatriot National Finals Competition in the nation’s capital this March. Central Tech was the only school from Oklahoma to finish in the top twelve. CyberPatriot is a purely defensive competition where students learn to secure computers, servers, and networks from cyber-attacks. The students compete globally with other competitors in the same age range. The competition provides a fun means to learn about and practice skills used in industry to protect their digital assets. “The contest is sponsored by some very large companies like Northrop Grumman, AT&T, Cisco and Microsoft. These companies not only financially support the contest but offer job and internship opportunities to the contestants,” Gaunt said. During the national competition, CyberPatriot teams work with live equipment under attack by a “Red Team” (hacking team) and must repel ongoing attacks. Unlike the previous rounds, these live attacks introduce vulnerabilities in the system forcing teams to continually check for breaches. Central Tech congratulates the network security CyberPatriot team on their accomplishments. 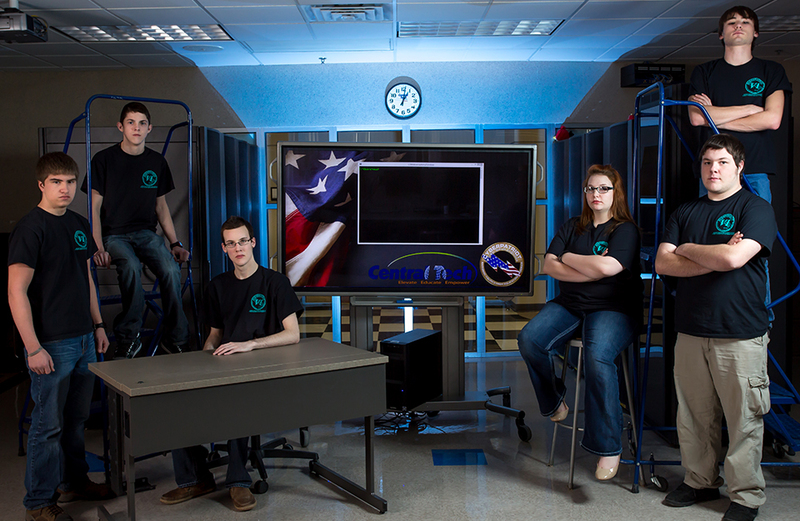 Central Tech’s CyberPatriot team (Bottom L-R) Jesse McIntyre, Ripley; Paige J. Booth, Cushing; Matt Cundiff, Ripley; Michael Inge, Depew; (Top L-R) Brodi Snover, Stroud; and Jacob Buzzard, Cleveland. Central Tech’s CyberPatriot team will travel to Washington D.C. in March to compete in the National CyberPatriot Competition after finishing 3rd in the national semi-finals. 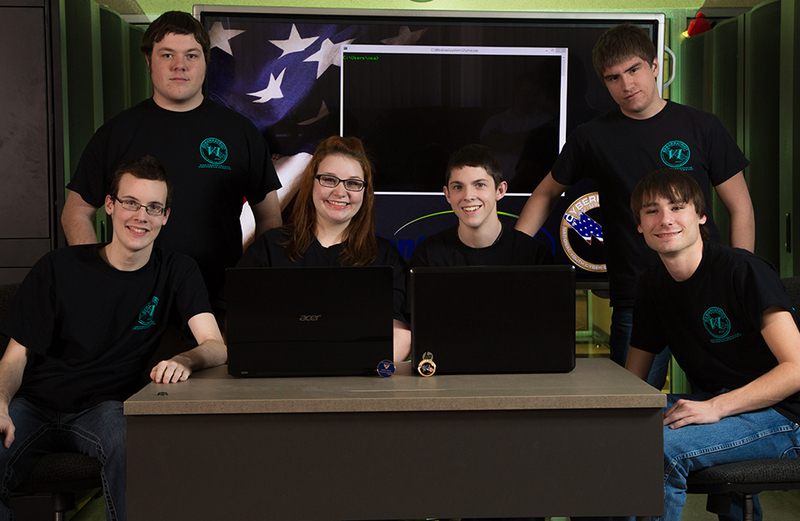 Central Tech’s CyberPatriot team (L-R) Michael Inge, Depew; Matt Cundiff, Ripley; Jesse McIntyre, Ripley; Paige J. Booth, Cushing; Brodi Snover, Stroud; and Jacob Buzzard, Cleveland. Central Tech’s CyberPatriot team will travel to Washington D.C. in March to compete in the National CyberPatriot Competition after finishing 3rd in the national semi-finals.